MIU Scholarship 2016 Scheme is applicable to domestic students only. 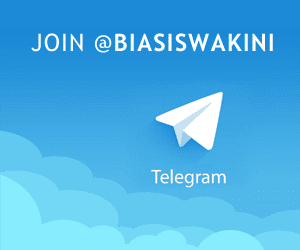 Biasiswa MIU 2016. It is designed to attract high-calibre students to enrol into MIU academic programs. The scholarship is open for local students who scores with flying colours in Sijil Pelajaran Malaysia (SPM) or Sijil Tinggi Persekolahan Malaysia (STPM). The following MIU scholarships are available for all intakes and programs offered at MIU. - 100% full tuition fee scholarship for Foundation program subject to maintaining the minimum required GPA in each semester. - 100% full tuition fee scholarship of 1st Year of the Diploma program subject to maintaining the minimum required GPA in each semester. The student needs to have minimum GPA of 3.8 in the core subjects every semester to continue getting the scholarships in subsequent semesters. - 50% scholarship on tuition fees for Foundation program subject to maintaining the minimum required GPA in each semester. - 50% scholarship of 1st Year tuition fee of the Diploma program subject to maintaining the minimum required GPA in each semester. The student needs to have minimum GPA of 3.5 in the core subjects every semester to continue getting the scholarships in subsequent semesters. - 100% full tuition fee scholarship for Undergraduate program. - 50% scholarship on tuition fees for Undergraduate program. * 'relevant subjects' refer to the subjects relevant to the chosen course of admission. For more and detail information about this spesial MIU - Manipal International University Scholarships 2016 schema, please visit MIU website at here. 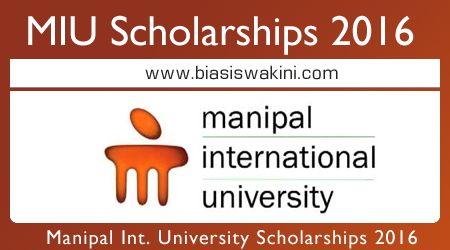 0 Komentar untuk "Manipal International University (MIU) Scholarships 2016 - Biasiswa MIU 2016"